"Discover the Almost Magical Formula to Build Your Child's CONFIDENCE, FOCUS, SELF-ESTEEM, and ATHLETICISM to Prepare Them for School and for Life!" From focusing, to goal setting, to self discipline, to self-esteem, to improved over all athleticism -- Children emerge from this program changed for the better. And their parents couldn't be happier. 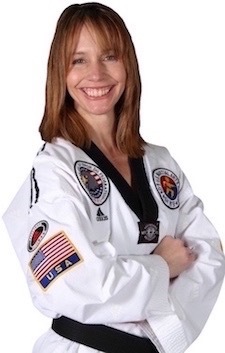 My name is France Pruter and I am the Head Instructor of one of the most Successful Children's Martial Arts Programs in the Kansas City area. For over 25 years I have been teaching children just like yours the benefits of Taekwondo Martial Arts. It has been incredibly rewarding watching their lives change as they develop the skills necessary to be successful in Life. If you read on I am going to tell your 4 different stories about children whose lives have been changed through Taekwondo at PTMAF and how their parents couldn't be happier. Story #1 "I asked you 5 times already"
Brandon never gets anything done the first time, whether its "clean your room", “ do your homework", "let the dog out", it just never gets done. His parents spend lots of energy and tons of time just getting him to do the smallest of tasks. As a result there is a lot of intense emotion in the home. Story #2 the "ADD Child"
Sam could never control himself in school. His school teacher thought he was just a "wild" child. The other children in his class would get distracted by him and they would have a hard time concentrating too. He was intelligent, just as intelligent as every one else but he couldn't focus for the life of him. If only he could concentrate his energy and do one thing at a time. Story #3 "the Easy Going Child"
It wasn't like Lexi wasn't intelligent, she was. She just never had passion for anything and was just a little to "easy going." She never applied herself to anything. As a result her school grades suffered, she could easily make A's but she just didn't pay attention. She needed something that would wake her up and help her reach her true potential. 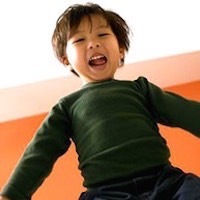 Story #4: "the Bullied Child"
Noah did not have the confidence to stand up for himself. 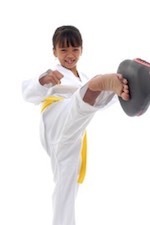 There are honestly countless other benefits children receive from Taekwondo Martial Arts. 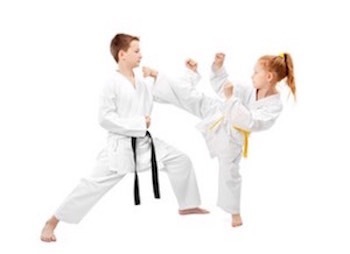 But rather then me telling you about them just read what the parents of some of our Taekwondo Martial Arts Children say…. Chase has a bit of an anger problem, but I have already noticed a positive change. He's showing more respect to me, and his teachers cannot believe He calls them "sir" and m'am". No other child in his class shows their teachers as much respect. 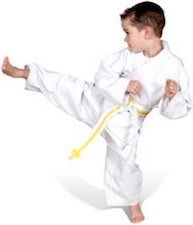 It really makes me feel great, and I believe I have done a auesome thing for myself and my child by enrolling him in his Taekwondo Martial Arts class..
Hey, I just wanted to tell you that Braydon did his homework today the first time I asked him! I’m still in awe! I know it is because of what he learned in Taekwondo Martial Arts class. You have put together an amazing program. Thank you so much. When Austin got off the school bus today, and got in the car, he could not stop talking about how he stood up to the bully who had been picking on him for months! He said the bully backed down, and everyone in class saw it! I got so choked up that I almost started to cry. Austin asked what was wrong and I just told him I was so proud of him. At first I was not sure if Maliia would like Taekwondo Martial Arts. After all, she’s only 5, so she never really completes anything. Wow was I wrong! She gets really upset if we ever have to miss a Taekwondo Martial Arts class. And she is more focused, more attentive, and just all around happier after starting this program. 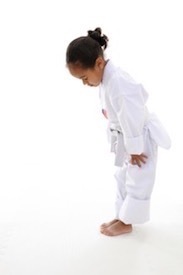 In Taekwondo Martial Arts we have our children do one task at a time. They may do that one task for 30 to 60 seconds, but in that 30 to 60 seconds that is the only task that they focus on. Then the better and better they get at focusing on that one task we will start to increase the time of that activity. They never get bored or "hot feet". Before you know it they can take that skill and use it in there home work, chores, conversation or what ever they set their mind to. 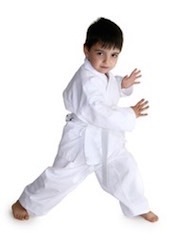 From the very first day your child begins Taekwondo Martial Arts they set goals and accomplish them. The more they succeed the more ambitious they become. Eventually he learns to set more important and higher goals. He learns to go after them with everything that he has. He learns to process think. In other words if I do this I get that, process thinking is the key to success in academics. Because of this children who do Taekwondo Martial Arts are more likely to succeed at what ever they do. A recent study showed that 63% of Black Belts become college graduates. Parents of children with trouble paying attention breathe sighs of relief after just after several short weeks. That's because in Taekwondo Martial Arts we teach children to look adults in the eyes when they are being spoken to. We teach them that this is how you show adults that you are listening and paying attention. After several short weeks, children naturally begin doing this at home and in their class rooms at school. Parents and teachers are amazed when they see the changes. They can not believe how much better their children pay attention. In Taekwondo Martial Arts we have just a few very simple rules. One of those rules is that when a child is asked to do something, he does it the first time. We never yell at the children if they don't do this. But every child does it because he sees the other children in the class doing it too. He just wants to make friends and be a part of the group. It is usually just a matter of several weeks before children start doing this at home too. Parents have thanked me many times for this positive change in their child. For parents whose children have a hard time following directions this is a blessing. 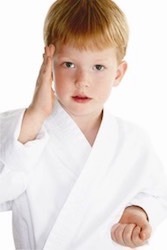 When it comes to bullies children in Taekwondo Martial Arts do not back down. They have the confidence to look a bully in the eye and stand their ground. This is what really almost always happens. The bully get scared and backs down. It happens nine out of 10 times. 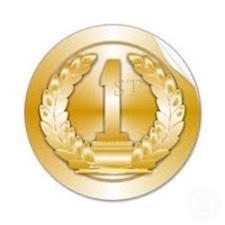 For the one out of ten the bully does not back down your child has the tools to fight for himself. And if he needs to he will be able to get away and seek and adult authority. 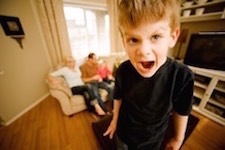 Most problems can be talked through but just in case words don't work your child will have the tools to defend himself. ✔Controlled Weight "kids need to lose weight too"
It is easy these days for children to not exercise. As a result, many children experience weight problems at very young ages. Your child will be active the entire time. But there is no pressure on him to do anything he can not. We will encourage him to do his best – but this isn’t boot camp or anything. 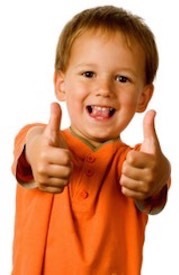 Most importantly your child will have tons of fun! Just like most parents I am sure you have some important questions. The most common questions that I have answered over the last 25 years are listed below but if you have any others don't hesitate to give me a call 816-525-4300. 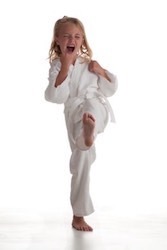 A huge misconception a lot of people have about martial arts is that it will make children more violent. At PTMAF we believe most difficult situations can be diffused using verbal tactics and self control. Unfortunetely bullies do exist in our classrooms, playgrounds, neighborhoods, workplaces, and in public places. At PTMAF our students will learn the proper time to use verbal strategy and diffuse the situation or effective self-defense techniques to escape to safety. “My Child is not Athletic, Can he do Taekwondo Martial Arts?" Very few Children from the age of 4 - 7 are athletic. It's important for young children to develop a variety of fundamental skills to help them become good general athletes. This is called multilateral development, and it is one of the most important training principles practiced at PTMAF. Our multilateral training program focuses on overall athletic development along with acquiring specific Taekwondo Martial Arts skills. No, most children just jump right in and go. We teach in a very positive and encouraging way so that the children feel really good about themselves. We also have several theories to learning. The first is whole part whole, this is how children learn the best. The teaching is done naturally while they are doing the activity and is not forced. This way the child gets it when he gets it and never feels stress. The other is part, part, whole which we teach at an older age when the children are able to understand concepts. We teach that way in our PTMAF Basic classes. You can never be to old, but sometimes you can be to young. We recommend no younger then 4. If your not sure just bring your child in for a free class. Your child's safety is of our highest concern. 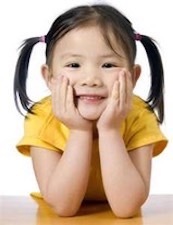 All contact is age appropriate and closely monitored by our highly trained staff. Your child will have a blast and beg to come to class. Sticking with the program is a concern of a lot of parents. We really don't know until we try it. We have a lot of girls and they love it. press the "Start Here" . You'll be taken to a page where you can see our class schedule and our web special, where you can order right away. Then, after submitting your payment (risk-free), one of our friendly staff members will give you a call (usually within 24 hours) and schedule a time for you to bring your child in that's most convenient for you. Get our Beginner Class Schedule, Prices, and Web Special.